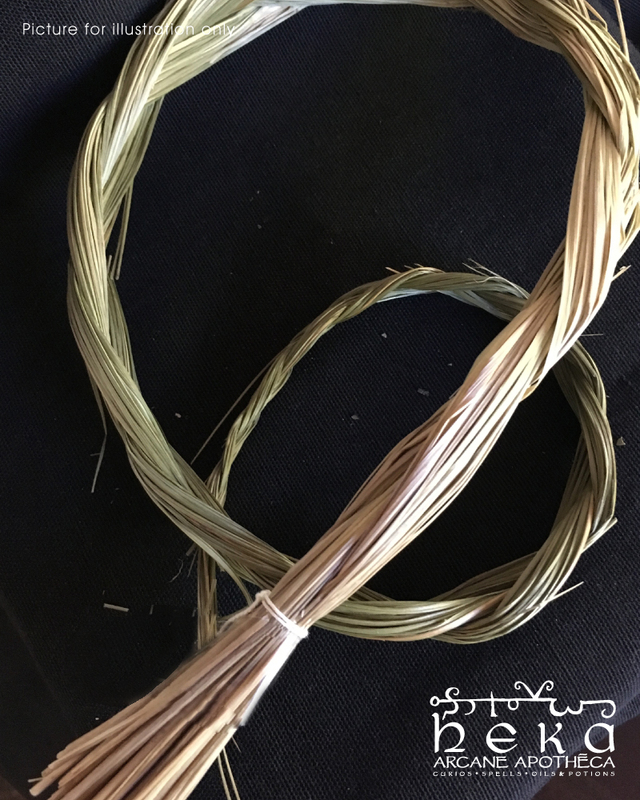 Native American peoples dry and braid Sweetgrass for burned during sacred ceremonies. The smoke of burning sweetgrass will purify and cleanse places, objects and people. The three strands of the braid represent the mind, body and spirit, all working together in unity. To burn as incense, light one end and gently blow out the flame, allowing the grass to continue to smoulder slowly releasing the fragrance. It can also be cut and added to other incense mixtures. It cleanses the atmosphere, attracts positive energies and allows relaxation and healing.